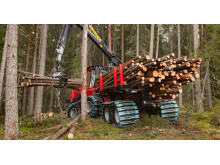 Komatsu Forest is planning to present several new products at Elmia Wood. Exactly which ones will only be revealed at the fair. One recurring question from visitors to forestry fairs is whether they can try out any of the machines themselves. The answer is normally no for safety reasons and because the machines being demonstrated are already owned by customers. At the previous Elmia Wood, Komatsu was an exception and one very popular offering was the forwarder track for test driving. “We’ll be offering activities this time too, so the answer is yes, there will be opportunities for test driving,” Persson says. For many people a chain will be the most important new product at Elmia Wood. 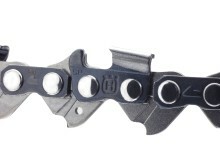 Specifically, the newly developed X-CUT saw chain from Husqvarna. The Husqvarna X-CUT SP33G was presented last autumn in some markets, including Sweden. 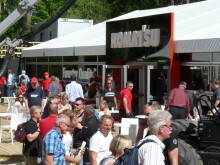 But everyone else will see it for the first time at the world’s largest forestry fair and Husqvarna is preparing for many questions. 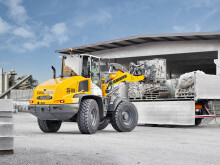 Liebherr of Germany is holding the world premiere of its new loader at Elmia Woods new section Load and Transport. 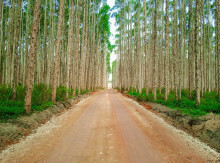 Load and Transport focuses on logistics of raw materials from forest to industry. 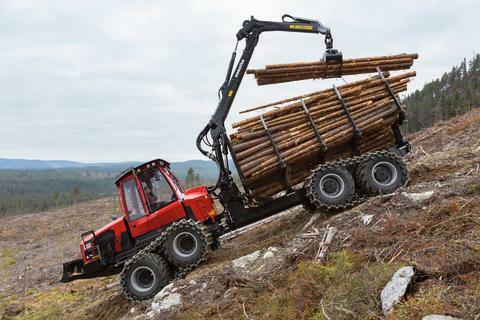 John Deere is launching a longed-for global first at Elmia Wood. 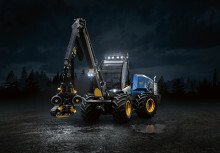 The company has now developed its crane-tip control for harvesters too. 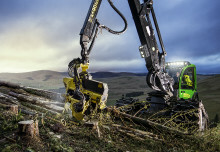 There will also be the opportunity to test operate several forest machines plus do tests on simulators at the John Deere stand. “Visitors can try out the new technology during the fair,” says Dieter Reinisch of John Deere.